The following post was featured on Salt Lake City’s Economic Development blog, highlighting the benefits that local businesses have observed following their switch to clean vehicles. We at SLCgreen wanted to thank Utah Clean Cities and their partners who provided statistics and success stories for this post. Our hope is to continue to encourage and promote the use of clean vehicle technology, which we see as a harmonious method to create economic growth and a healthier community. It has been updated for Utah Clean Cities Mind Fuel. Inversion season is nearly upon us. Poor air quality is something Salt Lake City, other municipalities along the Wasatch Front, and the State of Utah are actively working to improve.The biggest source of emissions comes from vehicles which contribute to over half of the wintertime inversion pollution. The good news is that cars, trucks, and other equipment are getting cleaner! Businesses can help by taking advantage of the newest technologies to reduce emissions from their vehicles fleets. Doing so can save pollution, of course, but also offers a whole host of other benefits, including saving your business money. Clean vehicles have had an unprecedented growth rate over the past few years. This new technology has caught the attention of businesses across the nation, with many starting to integrate a variety of electric, hybrid, clean diesel, compressed natural gas (CNG), and other alternative-fueled vehicles into their corporate fleets. CNG can replace large traditionally diesel-powered vehicles like refuse trucks or cement mixers and burn 45-90% cleaner and have a much longer lifecycle than their traditional diesel counterparts.Similarly, “clean diesel“– which is a combination of low-sulfur diesel fuel, advanced engines, and better emissions controls can significantly reduce the emissions from heavy duty vehicles. Salt Lake City now has several “clean diesel” garbage trucks in our fleet. For passenger class vehicles, EVs are a sound option. One reason: Driving an electric car in Utah costs half as much, mile per mile, as driving a gas car. EVs are also great for our air. In fact, according to a 2017 analysis, compared to a gasoline-fueled vehicle, all-electric vehicles along the Wasatch Front produce 98% fewer Sulfur Oxides, 99% fewer Volatile Organic Compounds, and 90% fewer Nitrogen Oxides with significant additional reductions in Particulate Matter (81% for PM2.5 and 57% for PM10). Plug-in hybrid electric vehicles reduces emissions significantly as well. That’s a lot of pollution saved! Salt Lake City: Currently has 57 CNG vehicles, 50 clean diesel trucks, 14 fully electric vehicles, and 117 hybrid electric cars in the city-wide fleet. 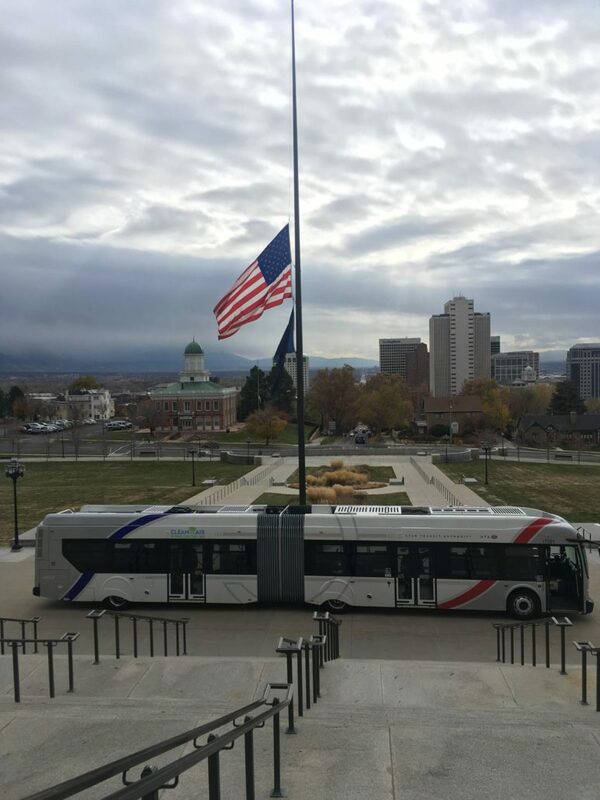 Park City Transit: Introduced 6 all-electric buses and plans to buy only all-electric moving forward. UTA: Currently using 47 CNG buses and expects to save $10,000 to $13,000 a year in fuel costs per CNG bus that it operates. Planning on releasing 5 all-electric busesin 2018. ACE Recycling: Currently using 88 CNG refuse trucks. Geneva Rock: Currently using 24 CNG cement trucks (90% cleaner than diesel predecessors). Snowbird:Currently exploring alternative fuel options, including biodiesel and providing Electric Vehicle (EV) charging stations for guests. UPS: Invested $90 Million in CNG vehicles and infrastructure nationwide. Waste Management: West Jordan and Orem sites are about 65% CNG. Each new vehicle obtained in these areas will be CNG moving forward. Each CNG vehicle costs about $50,000 more than diesel but the savings in maintenance costs make the vehicles last longer. Momentum Recycling: Has invested in CNG fueling infrastructure for on-site refueling and runs 3 out of 7 recycling trucks on CNG (with a fourth one on the way). So how can your business go electric? 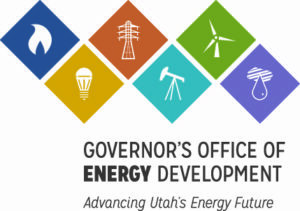 Rocky Mountain Power incentivesare offered to Utah non-residential customers and multifamily dwellings to offset the cost of installing charging stations. Funds are limited and are available on a first-come, first-served basis, so take advantage! Think about how much it costs your business when gas prices spike. Investing capital in low maintenance electric vehicles is more than a lofty ideal. Utah Clean Cities is here to help you start reducing the dependence on fossil fuels that exposes you to economic risk. The Rocky Mountain Live Electric offers up to $5,000 to businesses to cover the incremental costs of adding an electric vehicle to fleets. Plus, the Live Electric grant is offering workshops and ride and drives to help expose Utah business leaders to the joy of going electric and further, offering their employees workplace charging with the Lead Electric program. Check out the Live Electric Website to see what the grant partners are doing to support the Lead Electric workplace charging program. The decision to start implementing clean strategies helps your employees feel that their company is committed to making Utah a healthier place to live. Utah Clean Cities is here to help you make the switch to cleaner-fueled vehicles. Meanwhile, if you want to crunch numbers for yourself, check out fueleconomy.gov to see side by side comparisons of each vehicle make and model sold in the US. This website is a valuable resource that many organizations use when running a cost-benefit analysis. It has information regarding vehicle smog ratings and fuel economy. Salt Lake City recently built out public charging infrastructure this year.